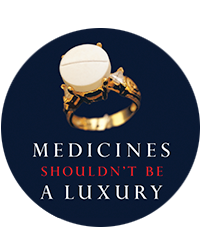 Geneva, 29 November 2018—Ahead of a Vatican City meeting on scaling up HIV diagnosis and treatment for children, the international medical humanitarian organisation Médecins Sans Frontières (MSF) criticised pharmaceutical corporations for their delays and failure to develop appropriate formulations of HIV medicines for children. Developing countries are struggling to provide HIV-positive children with World Health Organization (WHO)-recommended treatments, because paediatric versions of these antiretroviral drugs are not available where they are needed. Pharmaceutical corporations need to stop dragging their feet and start taking concerted action so that more young lives can be saved – time’s up for empty promises.